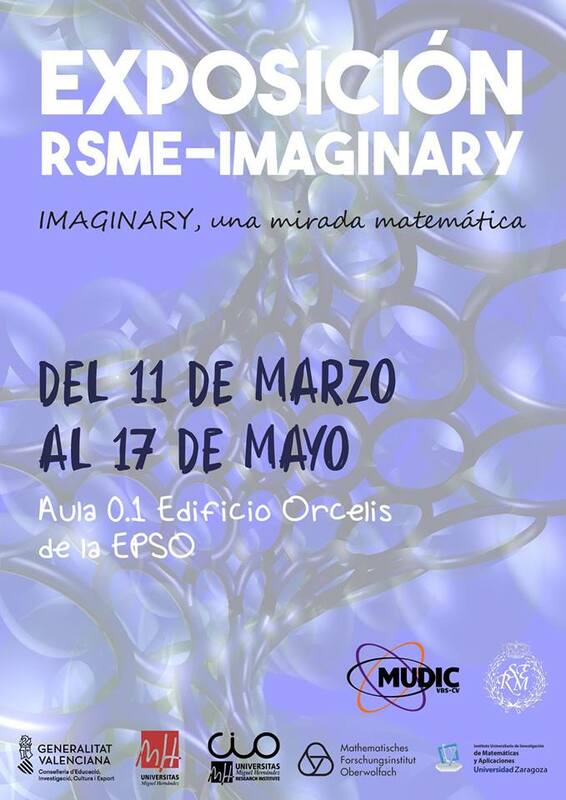 The exposition RSME-Imaginary travels to Orihuela (Alicante), at the Campus of the University “Miguel Hernández” (UMH) in this city. The exposition is located at the “Museo Didáctico e Interactivo de Ciencias” (MUDIC). The visits are planned to be integrated in the ordinary visits of the Museum, and their monitors will explain the exposition to groups of students coming from primary and high schools that constantly visit the Museum. The estimated number os students visiting the Museum and the Imaginary exposition is about one hundred per day. The Imaginary exposition will stay at the MUDIC from March 11th to May 17th. The exact place of the exposition is the Room 0.1, Edificio Orcelis at the Campus of the UMH in Orihuela (Alicante, Spain).